It's been go-go-go-go-go since the middle of last week and besides being exhausted and feeling like I live in a pig sty of a room again, I really don't mind. Thursday I finished a Facebook header for Christina Lauren and their new book, Sublime that comes out October 14th. Friday night, I had to do finishing touches for my Desperados House Party, like making this #SEIZETHENIGHT polaroid prop. Saturday was cleaning and food prep. I made this yummy Tequila Lime Fruit Salad for Ladies Recipe Night that I'll share soon and then we smoked some ribs and had our famous baked beans. 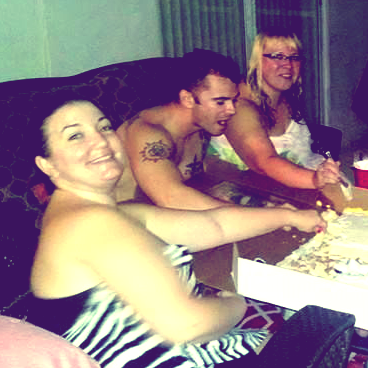 Then we had the party! I had to invite at least 10 people and we had 9 in attendance and lots of fun! We even tried a Desperados Rita. Anybody interested in a free Desperados T-Shirt like the one I'm wearing and a pair of the cool sunglasses?! Mention wanting one in your comment and I'll use random.org to pick a winner! They only come in large, but they're a super soft tighter fit than a typical men's large. 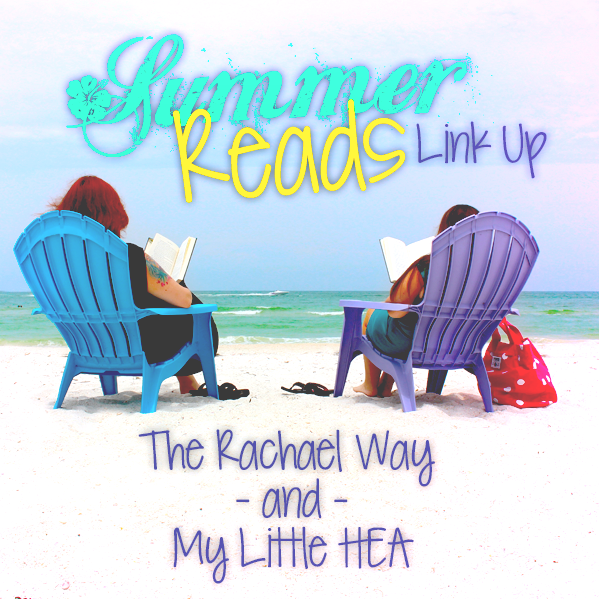 One of the lovely sponsors I'm supporting this month is Rachael from The Rachael Way and we're having a Summer Reads Link Up for you to join in on! More details about that to come via Twitter and Instagram so make sure you're following me! Sunday daytime was getting last minute things ready for the Ladies Recipe Night, getting all the kits put together and making samples for the ladies. Since it's Summer, we didn't have as many this time and I actually got to sit down and participate with the ladies instead of being a "teacher" there to help!! So much fun! Monday "ahem" last night, I had a great time with a friend of mine that's back visiting from Hawaii!! I can't believe she's been gone FOUR years already!!! It seems like just yesterday she was packing up to leave. I really don't like being busy! I love being able to accept random invitations and getting everything done I've committed to. However when an opportunity comes up to do things with people, no matter how little time I have I really try to make the effort. Time is so precious and limited that I want to make sure I'm spending it with my friends and family! Have you been busy this Summer? Definitely will need to find out more about the Summer Read link up! Great job with the Facebook header. Im always looking for new books to read! Oooh, this ladies recipe night sounds awesome! Love the facebook header, awesome job! Look forward to getting the details on the summer read link up, you know I'm in! This summer has been busy but a few relaxing days too.